Have you recently started experiencing home comfort issues? If you’ve been cranking the thermostat up and down, but failing to achieve a comfortable temperature, you may need to reset the thermostat for your heating and cooling system. Like other personal electronics such as computers, tablets, and smartphones, your thermostat sometimes needs a reset. Any time you are having an issue with heating and cooling units, such as after a sudden power failure or after your children have had ‘control’ of the system while you’ve been away, resetting the thermostat should be the first thing you try when attempting to rectify HVAC system issues. Install the batteries backwards. Wait 5 seconds, then reinstall batteries properly to reset. If your thermostat has a recessed reset button, press it in with a paper clip, holding it in for 5 seconds before release. If neither of the above methods work, turn your thermostat to the ‘off’ position. Then go to your home’s circuit breaker box. Locate the breaker for your HVAC system, then flip it to the ‘off’ position. Wait a total of 30 seconds, then flip the breaker back to the ‘on’ position. Return to your thermostat, setting the mode to heat/cool and adjusting temperature settings, observing carefully for the flow of conditioned air. If this does not address the issue, you may need to schedule heating and air service. When setting thermostat temperature following a reset, carefully consider your choice. Every degree you turn back the temperature can reduce your energy bill by 1%. What’s the best temperature setting for comfort and savings? A winter temperature setting of 68 degrees F is ideal for times when your home is occupied. Set this temperature cooler when sleeping beneath the cozy comforter of your bed for additional savings. In the summer, when temperatures soar, a thermostat setting of 78 F is ideal. 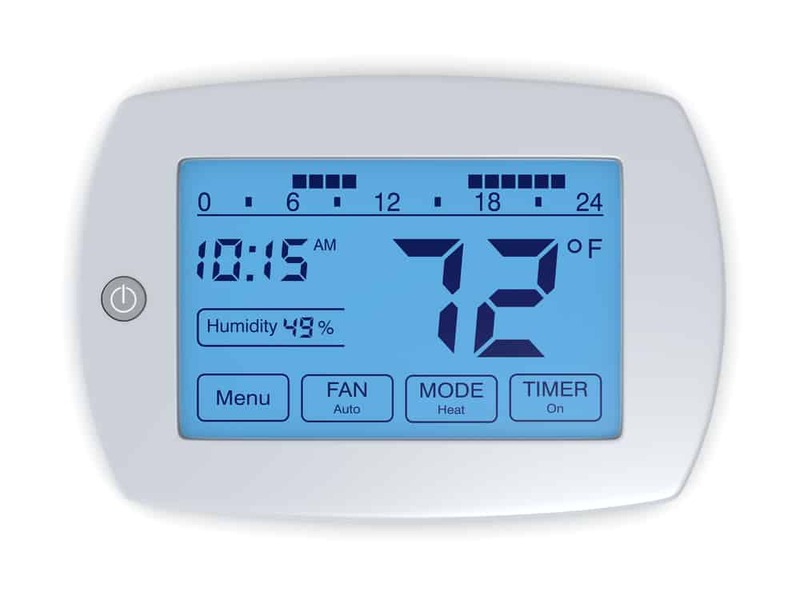 When you are away at work or out of town, set the thermostat temperature back 10-15 degrees F. A smart learning thermostat addition can help you maximize comfort and savings, learning your routine and adjusting settings automatically to meet your comfort and energy savings needs. HVAC out of sorts? You deserve to be comfortable in your home. If a reset isn’t managing your systems issues, it may be time for a thermostat replacement. Ensure optimal system function with the help of H&H Heating & Air Conditioning. Schedule a system service today.